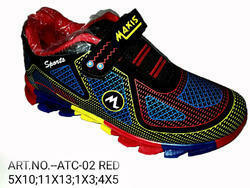 Leading Exporter of children shoe, latest children shoe, latest children sport shoe, fancy children shoe, kids shoe and blade sole children shoe from New Delhi. 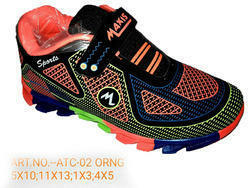 We are renowned as the flagship manufacturer, trader, exporter and supplier of children shoe. Our offered shoes are recognized by our patrons due to its trendy look design. The offered shoes are designed by excellent quality material and leading techniques. Along with that, clientele can avail these shoes from us in bulk quantity within the committed time frame. 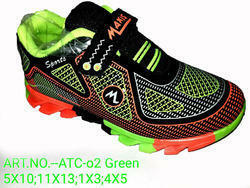 We are renowned as the flagship manufacturer, trader, exporter and supplier of latest children shoe. Our offered shoes are recognized by our patrons due to its trendy look design. The offered shoes are designed by excellent quality material and leading techniques. Along with that, clientele can avail these shoes from us in bulk quantity within the committed time frame. 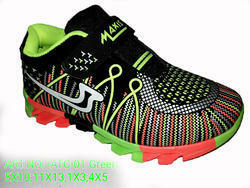 We are renowned as the flagship manufacturer, trader, exporter and supplier of kids shoe. Our offered shoes are recognized by our patrons due to its trendy look design. The offered shoes are designed by excellent quality material and leading techniques. Along with that, clientele can avail these shoes from us in bulk quantity within the committed time frame. 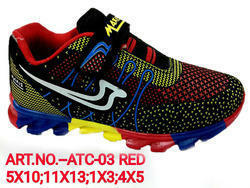 We are renowned as the flagship manufacturer, trader, exporter and supplier of blade sole children shoe. Our offered shoes are recognized by our patrons due to its trendy look design. The offered shoes are designed by excellent quality material and leading techniques. Along with that, clientele can avail these shoes from us in bulk quantity within the committed time frame. We are renowned as the flagship manufacturer, trader, exporter and supplier of Fancy children Shoes. Our offered shoes are recognized by our patrons due to its trendy look design. The offered shoes are designed by excellent quality material and leading techniques. Along with that, clientele can avail these shoes from us in bulk quantity within the committed time frame.